Welcome to the Loan Signing System Membership! As promised here is your access to my training course, "How to Get Loan Signings and Make $75/appt or More this Week"! Membership Training Video: How to Get Loan Signings this Week! Congratulations!! You've taken the first step in becoming an expert loan signing agent! Now you can take this opportunity to the next level! 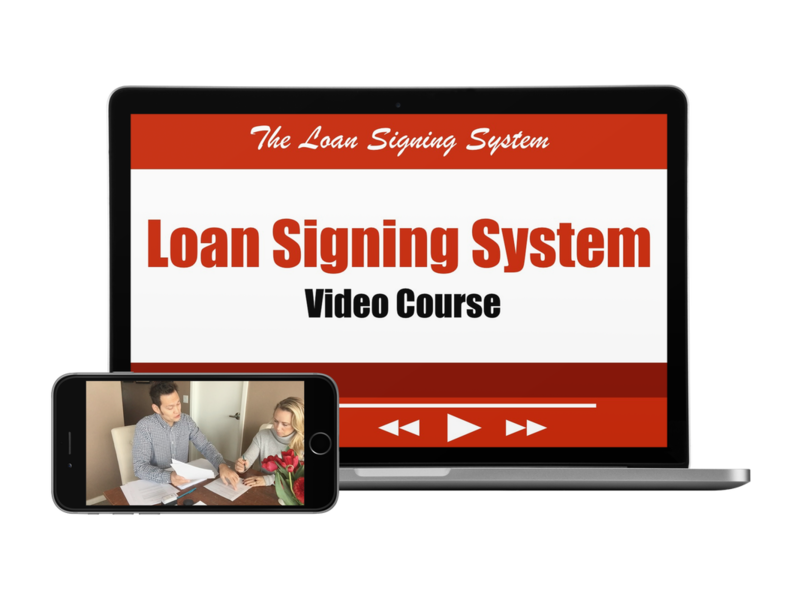 The Loan Signing System is an online video training course that contains the exact steps I have used to build my own loan signing business and is currently used by thousands of my students to become loan signing agent experts. Get the Loan Signing System Course and Certification Today! Get the Loan Signing System Course and Certification and learn to make $75 to $200 per appointment, part-time, working on your own schedule.